So I have a confession. Since joining the wonderful design team at Really Reasonable Ribbon, I've become a bit of a ribbon hoarder :-/ I will pull out my RRR stash, admire the beauty, handle some of my favorites, and then carry on a a bit of an inner debate about whether or not to cut into them. One of these favorites is the Silky Crush Wrinkled Ribbon in Champagne. The beautiful sheen, ethereal texture, and romantic, old world hue make me swoon, and despite my temptation to keep it all to myself, I've decided to start sharing the beauty and use it not only on cards, but also on handmade keepsake boxes that I plan to give away during the holidays. For today, I'd like to share with you a card I just made for a loved one going through a difficult challenge, one that will test her in many ways. But despite how difficult this will be for her, I truly believe that these types of experiences are put into our lives for a reason, that they possess the potential to transform us within and help deepen our understanding of what it means to be human. For my focal image, I chose a butterfly - the perfect embodiment of transformation, in my opinion. Hoping this card and some well chosen words written inside will lift her up and empower her. As for my supplies, I used DCWV "Be Mine" papers, a Sizzix "Frame, Fancy" die by Karen Burniston, a Martha Stewart Edger punch and Butterfly punch. All the paper pieces were aged with Tea Dye Distress ink from Tim Holtz. 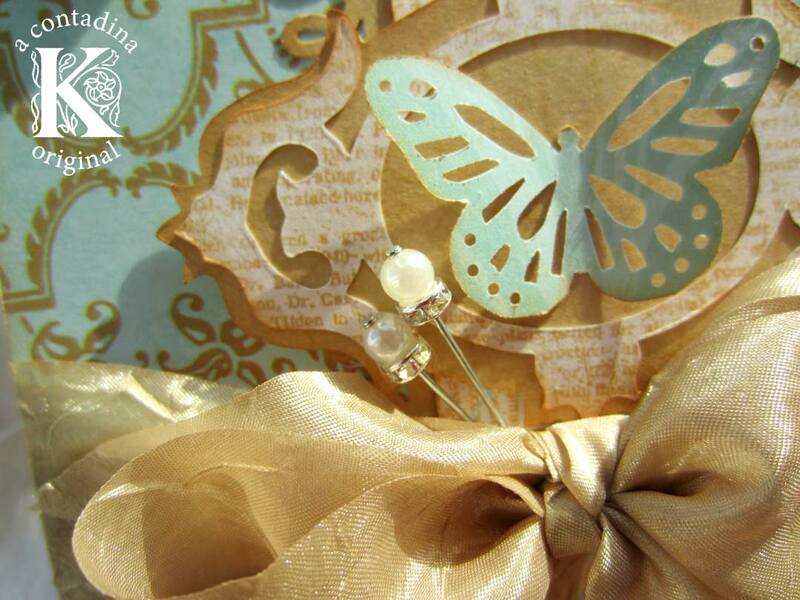 For embellishment, I used my precious Silky Crush Wrinkled Ribbon in Champagne and stick pins from Jenny Bowlin. I won't tell you how long I tilted and turned this card in the sun, completely smitten with how this fiber catches the light. Gorgeous card Vivian! I love the beautiful color combo you used. 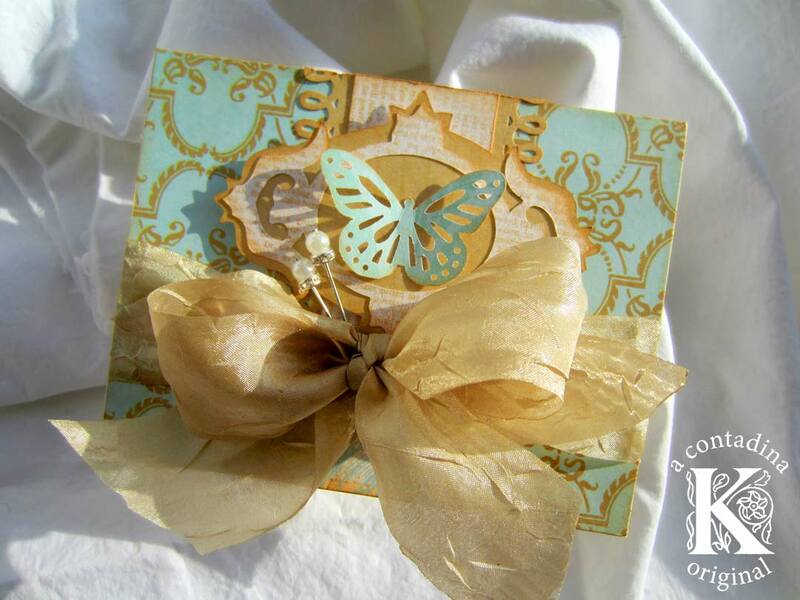 This ribbon is so elegant & luxurious - beautiful card!